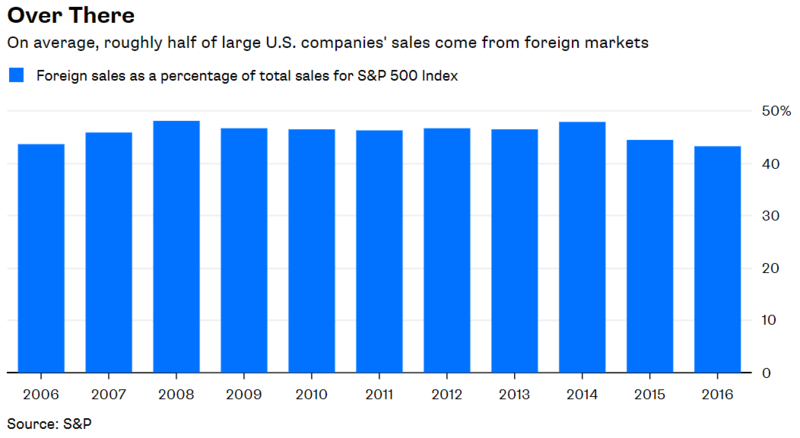 Exchange-traded funds are looking for a few good gamblers. 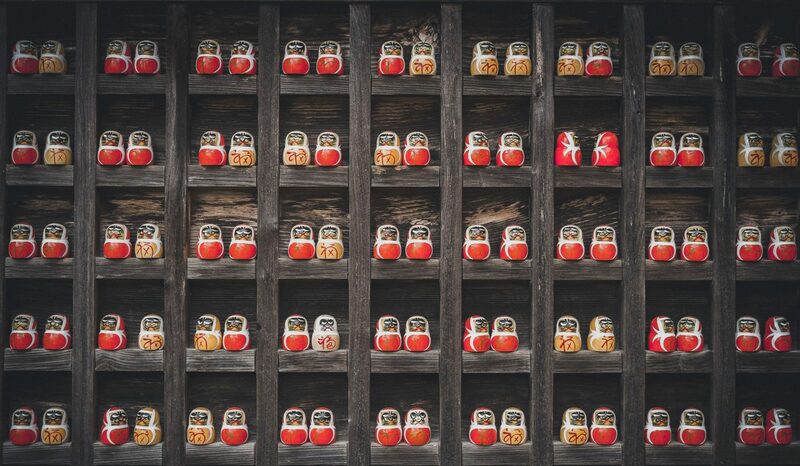 ETFs are famous for tracking simple, broadly diversified indexes cheaply, transparently and tax-efficiently, an ideal combination for long-term investors. 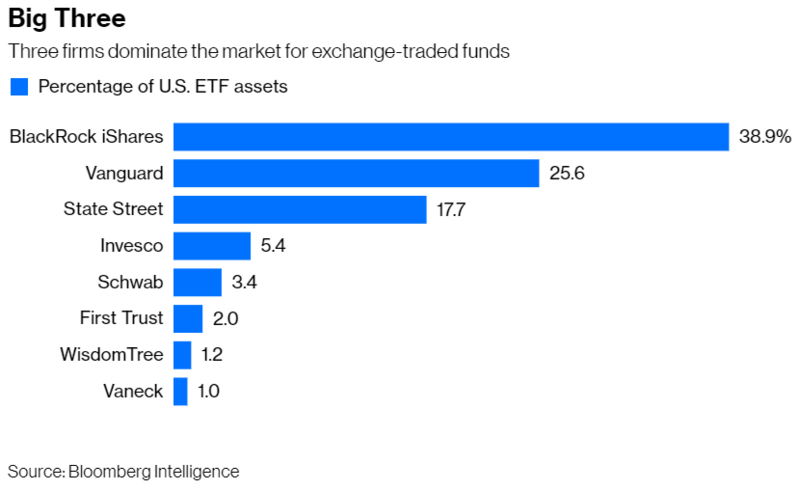 The problem for aspiring issuers is that the market for those ETFs is dominated by the big three — BlackRock Inc., Vanguard Group and State Street Corp. — which collectively manage 82 percent of ETF assets, according to Bloomberg Intelligence. To stand out, smaller firms are turning to more complex and niche funds. 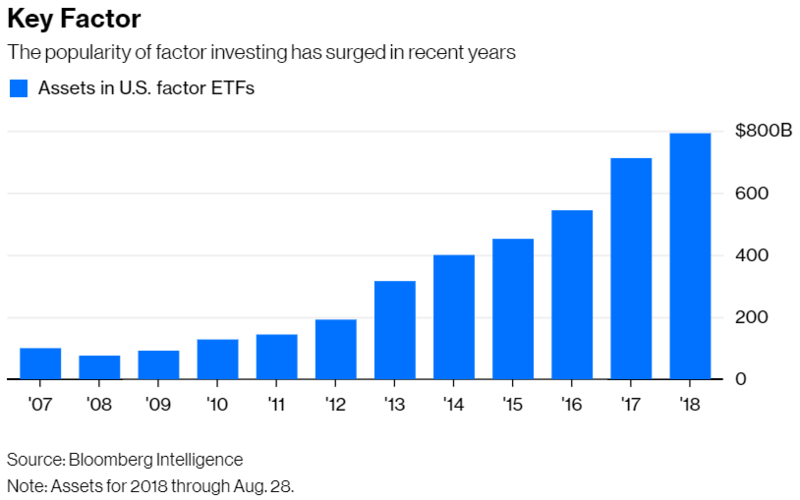 Enter Innovator Capital Management, which is expected to introduce its S&P 500 Buffer ETF on Wednesday, the third in a trilogy. The S&P 500 Power Buffer ETF and the S&P 500 Ultra Buffer ETF launched last week. The funds shield “investors” from a one-year decline of up to 9 percent, 15 percent and 30 percent, respectively, in the S&P 500 Price Return Index in exchange for a cap on the index’s return. If Elon Musk takes his electric car company and goes home, investors will be poorer for it. Tesla Inc.’s colorful co-founder and CEO tweeted on Tuesday that he’s considering taking it private after complaining for years about life atop a public company. As Bloomberg News recalled on Tuesday, Musk expressed “his frustrations with having taken Tesla public” in an interview in January 2015 and has carped about the market several times since then. Hours after the tweet, Musk laid out his beef with public markets in an email to Tesla employees. The gist is that 1) the volatility of Tesla’s stock is a distraction; 2) the scrutiny around quarterly earnings creates pressure to focus on short-term results at the expense of longer-term ones; and 3) short-sellers, or those who bet against the company, have an incentive to attack it. My colleague Matt Levine rightly points out that Musk, “who is constantly tweeting attacks on journalists and jokes about bankruptcy, who is also busy running two other companies,” isn’t the best-suited critic of the market’s shortcomings. But don’t confuse the message with the messenger. Regardless of your opinion of Musk or the wisdom of taking Tesla private, with the number of companies listed on U.S. stock exchanges down to roughly 3,600 at the end of 2017 from more than 7,600 in 1997, it’s a good time to ask whether public markets are working the way they should. Fidelity Investments fired a shot heard around the investing world on Wednesday: It announced it would roll out two index mutual funds on Friday that charge no fees. Both funds will track market cap-weighted Fidelity indexes. The Fidelity ZERO Total Market Index Fund will invest in the largest 3,000 U.S. companies based on float-adjusted market cap, and the Fidelity ZERO International Index Fund will hold the top 90 percent of stocks within various developed international and emerging countries. It’s tempting to dismiss the move as a marketing stunt. Fidelity doesn’t need the money. I counted more than 1,000 Fidelity mutual funds, including the various share classes, with close to $1.9 trillion in assets and an asset-weighted average expense ratio of 0.46 percent a year. That translates into roughly $9 billion of annual revenue. Friday was a big day in the world of indexes. It was also a costly one for index investors. I’m referring to the annual reconstitution of the FTSE Russell indexes — the day that the index provider officially updates the components and allocations of its indexes, such as the popular Russell 1000 Index and Russell 2000 Index. It’s also the day mutual funds and exchange-traded funds that track a FTSE Russell index revamp their portfolios to match it. The result is a torrent of trading. 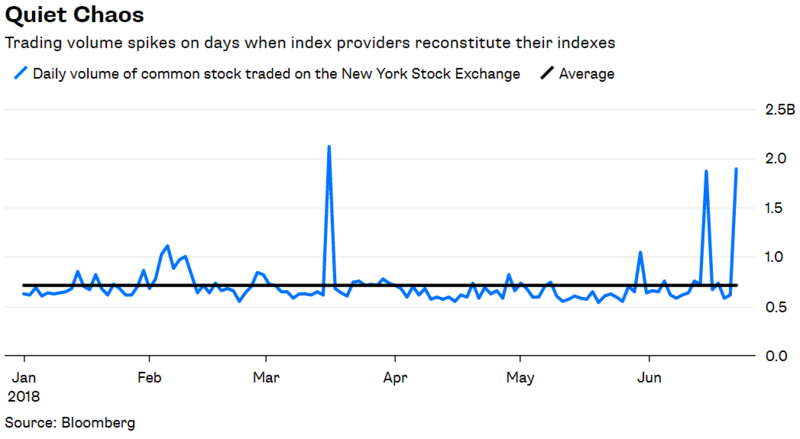 Roughly 1.9 billion shares of common stock traded on the New York Stock Exchange on Friday, according to volume calculated by Bloomberg. It was the second-busiest trading day of the year and nearly triple this year’s average daily volume of 712 million shares. Apologists for high U.S. stock prices just lost their favorite defense. Ten-year Treasury yields rose above 3 percent on Tuesday for the first time since 2014, and bond investors are hysterical. Chris Verrone, head of technical analysis at Strategas Research Partners, told Bloomberg Television on Monday that breaching 3 percent would ring in “a 35-year trend change in bonds” in which investors in long-term bonds would stop making money. Let’s take a breath. 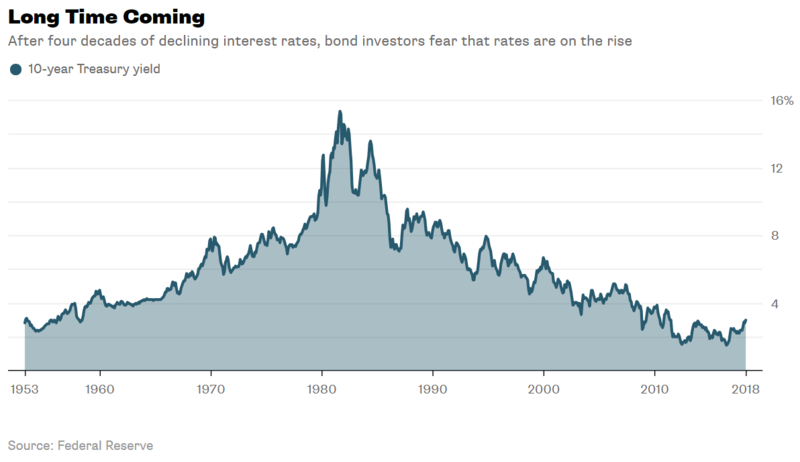 For one thing, no one knows where interest rates are headed. Moreover, bond investors need not fear rising rates. Yes, bond prices decline when interest rates rise, but higher rates also mean higher yields on new bonds. Over time, those higher yields should more than offset lower prices.